Previously a senior NHS manager at board level, capable of both strategic thinking and operational implementation. Now an experienced event manager, organising major international conferences. Skilled in the development of both teams and individuals, able to motivate others in achieving key objectives. Able to influence at all levels and effective in forming successful partnerships across organisations. "Vinny is a highly experienced and extremely competent senior manager who provided excellent project management support to Trinity Hospice. Working to extremely short timescales, Vinny met and exceeded our expectations in all areas of her work whilst building and maintaining strong relationships with the clinical team she managed, the wider team at Trinity and the Board. Vinny is an inspirational leader motivating staff to achieve excellence. She is thorough, professional, focussed - a joy to work with. I would thoroughly recommend her." Anne Hooper, Chief Executive, Trinity Hospice, Clapham, London, 18 April 2012. Chris Banks, Chief Executive, NHS Cambridgeshire, 8 November 2010. Dennis Cox, Director of Clinical Redesign and Service Improvement, NHS Cambridgeshire, 8 November 2010. “Vinny is one of the best leaders I have ever had the pleasure to work with. She builds excellent relationships, inspires and enables excellence in others. She is always thorough, professional and focussed on delivering the best outcome possible. I have no hesitation in recommending her." 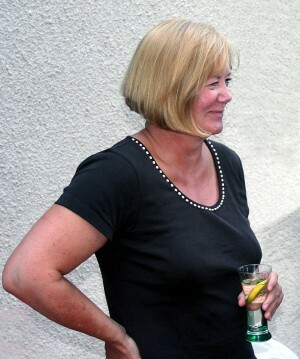 Janice Steed, Director and Owner of Steed Consulting, 10 May 2010.